I woke up this morning planning to go to The Shoe Museum, but the snow was coming down and the sidewalks were not inviting. Instead I sat and listened to a recording of the eulogy that my son David delivered at the funeral of my mother-in-law’s baby brother who recently passed away, known by the family as Uncle Gibby. In it David referred to how much Gibby loved food and music, something we can all relate to. Instead of venturing out into the snow, we sat around the breakfast table telling stories, eating delicious pletzlach from Grodzinsksi’s Bakery and simultaneously laughing and crying. It is not surprising that food was a recurring part of the discussion. As I sat and listened to various ” Gibby stories,” our conversation turned back to our plans for the day. We are going to visit my father-in-law this afternoon, but what about lunch and dinner? The snow is coming down even harder now, but it’s time to head out. In my head I am humming one of my favorite songs, Baby It’s Cold Outside and I realize it’s a perfect day for meatballs in tomato sauce. I think both would make Gibby smile. Heat the oil in a large pot and add the chopped onion, garlic and spices. Saute over low heat till onion is translucent but not brown. Add mushrooms and cook for several minutes before adding chicken broth, chopped tomatoes, chili, salt and pepper. Simmer for about 5-10 minutes, and adjust seasoning. Definitely going to try this soon! When are you coming home from Toronto? Let me know if you make it!! We came home very late on Sunday night. Still recovering! Sad but somewhere Gibby is smiling. It is about 20 degrees here Barbie, but I agree meatballs are good anytime! I love that you always take the time to comment Barbie. It is a spice blend from Israel. Ask Effie what’s in it. See you soon and miss you! I have often said that I think we are related. Well we are definitely on the same “meatball wave length”. 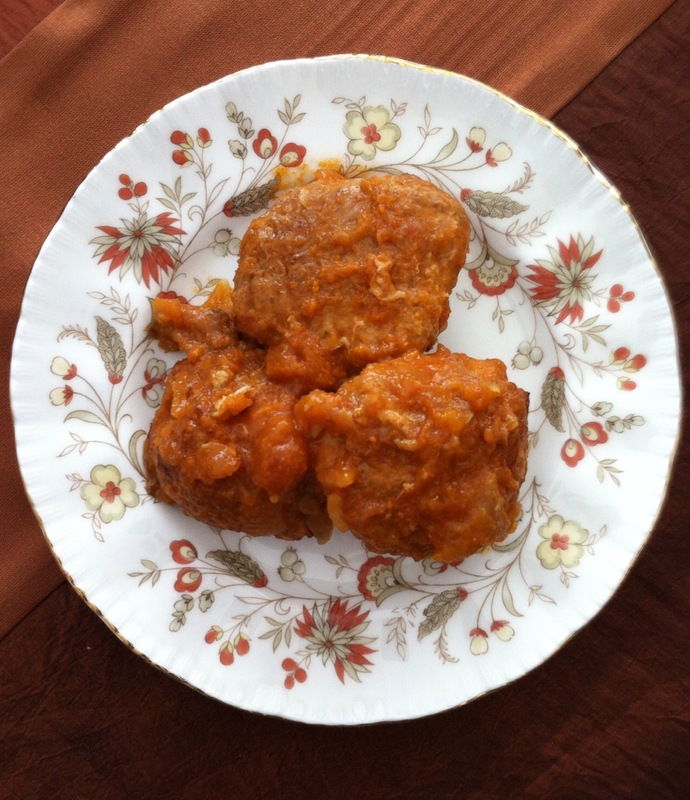 Even though it is lovely here today, no snow nor ice, I made David Saiger’s favorite Sweet and spicy meat balls. It has become one of our favorites as well. Enjoy your time in Toronto and New York. That’s so nice to hear Estelle!!! These are so easy to make, try them. Hope you are close to finishing the book?? ?